Whether you’re continuing your love affair with flamenco dancing or just starting, there are endless options for flamenco dance classes in Madrid. The wide range of teachers and schools that a Google search will throw up can be a bit overwhelming – so let me give you a few clues that will hopefully guide you through the maze. First of all, you need to ask yourself – what do I want from my flamenco dance classes? Am I happy with a couple of hours’ practice per week with – or without – an annual end-of-year performance for relatives and friends? Or do I want to really go for it and take classes maybe every day and for several hours? If your answer to the latter is yes, you should visit (physically I mean, don’t dare go to their website or bad things will happen to your mind) Amor de Dios flamenco school. There are fantastic teachers there that teach all levels – including beginners –, most every day. And how do you choose your teacher? Word of mouth is key. Also, one of the great things about this utterly flamenco school (you’ll love the ambience, it’s flamenco por los cuatro costaos, as we say around here) is that it’s so easy to check out different teachers: most of them will let you observe a class for a few minutes, so you can get an idea of the level of the class and teaching style of the teacher. A few renowned teachers you’re bound to bump into in the corridors: La Tati, Toni El Pelao, La Uchi, David Paniagua or Marco Flores. Prices range from €10 to €15 per hour, usually depending on how many lessons you take (the more you take, the cheaper it gets). If you’re keen on committing to just a couple of hours a week, the Fundación Conservatorio Flamenco Casa Patas is a great choice. They have excellent teachers Sara Nieto and José Jurado and a good range of levels, times and prices. Each class group prepares at least one choreography to be performed in front of relatives and friends every year, which gives you an aim and an extra reason to get your act together. Plus by being a student there, you get discounts for flamenco shows downstairs, at the Casa Patas tablao. 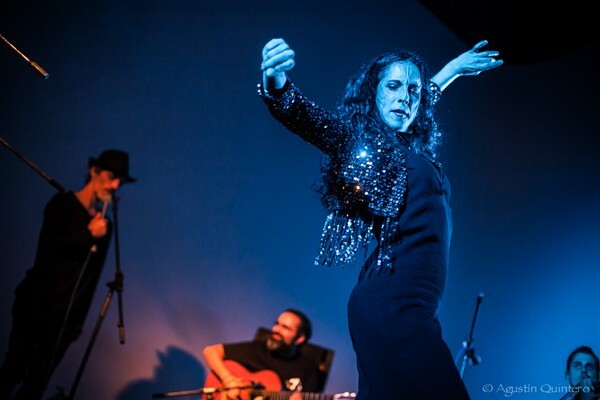 Learn to dance flamenco like Sara Nieto at Fundación Casa Patas! 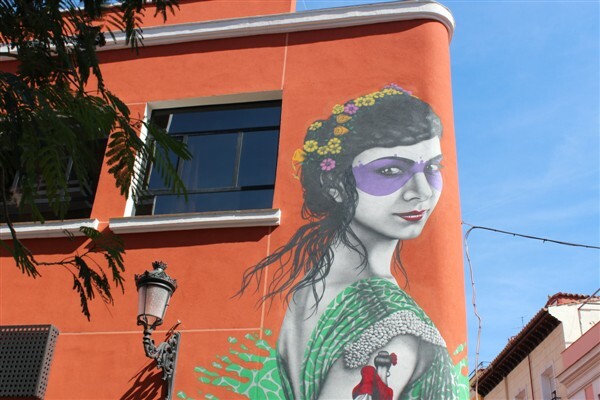 The Instituto Flamenco la Truco is Madrid’s newest flamenco school. La Truco is a bit of a legend in the flamenco dance teaching world, particularly from her days teaching at Amor de Dios. Founded in 2014, the school boasts great facilities and a wide range of levels, for amateurs and professionals alike, and many disciplines (from psychomotricity and pre-flamenco lessons for children to flamenco fan and shawl classes for adults). That all sounds perfect, right? Where is the downside? It’s in Parla. Perfect if you live in Parla! Go on, don’t be shy – put those flamenco shoes on and go for it!